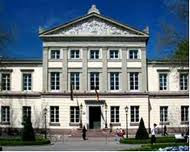 The Göttingen Graduate School for Neurosciences and Molecular Biosciences (GGNB) was founded in 2007 as a joint enterprise between the University of Göttingen, three Max Planck Institutes, and the German Primate Center. GGNB is funded by the Excellence Initiative of the German federal and state governments. Ten doctoral programs are currently united under the roof of GGNB, sharing a common interdisciplinary training platform for their Ph.D. candidates. All courses are in English. Each Ph.D. candidate is affiliated with one of the doctoral programs of GGNB where he/she receives individual counseling and is guided in his/her thesis work by a thesis committee of at least three faculty members. Scholarships and institutionally financed Ph.D. positions are available. Candidates holding a Master’s degree in the natural sciences or related disciplines and an excellent academic record may apply by 15 May 2011 or also independent of deadlines. Demikianlah informasi PhD Scholarships at Gottingen Graduate School in Neurosciences and Molecular Biosciences kami sampaikan, semoga bermanfaat.